Black socks and black liner gloves irritate me. Yes, it’s the most universally pleasing color, important if you’re going to make only one available for a low-margin item, and yes it hides dirt. But a pair of black socks, when put into a drawer with six other pairs of black socks, are hard to differentiate, and a single black glove in the depths of a pack or stuff sack is hard to find. 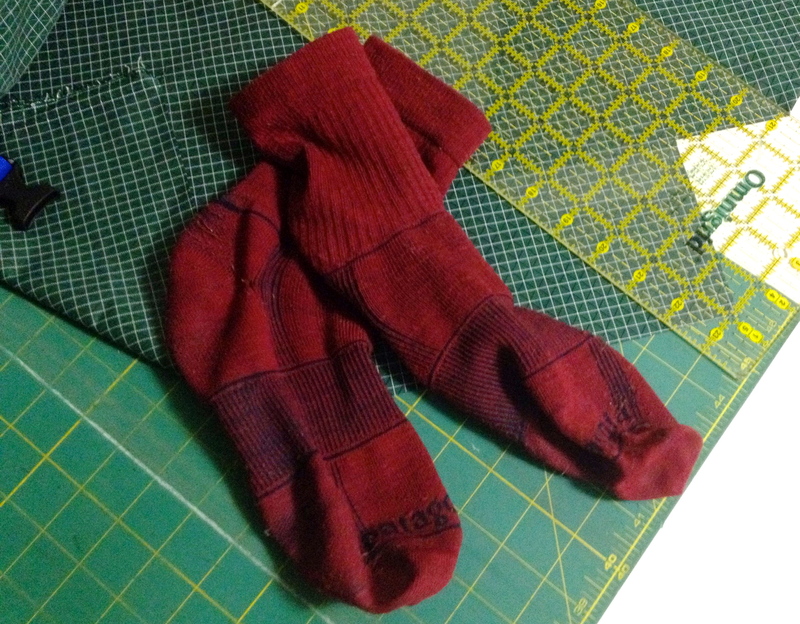 Which is why I like these lightweight merino socks I bought from Patagonia last year. They’re a nice, dashing red, and the two pairs have been my most-worn socks this year. Not because they’re comfortable and durable (which they are), but because I can always find two of them before I can find two of anything else. I think they’re a little lighter than the current lightweight merino sock, which Patagonia makes in a pleasing variety of bright colors. Alas that Black Diamond did not do so with my current favorite (and out of stock because they’re awesome) light gloves, the Mont Blanc. Good socks and good gloves are generic lack of other ideas gifts, and while they might be uninspired, they could hardly be more practical. Socks and liner gloves are disposable items for hard users, and are as vital an appreciated day-to-day as they are unexciting to buy. The art is getting the right ones for the right person. I like BD gloves because the mediums fit my skinny fingers well. I like light, breathable, quick drying socks, so I like those Patagonia socks, and hate Darn Toughs. If you’re giving these most prosaic of gifts, best do some research first. I agree completely and I resolutely avoid buying black. Recently in Denmark I noticed an advertising hoarding indicating “Black is Back”, I had not noticed it had left, especially as you can buy any clothing colour you want as long as it is black. Back to the topic, I have very few items of outdoor gear which are black, and I will need to investigate those Patagonia socks to remove one more black item from my pack. BTW I am enjoying this series.